In Moscow, a densely built mega polis, there are major challenges on how to maintain and develop a healthy green urban and peri-urban environment. Improving the quality of existing public space and cityscape and to develop new areas on a sustainable way, will improve the quality of living and create new economic, social and environmental value. The idea of the project, designed by the Dutch landscape architecture office OKRA and the Russian office Ampir, is to change Brateevo, a Soviet high-rise block district along Moscow river, into a vibrant and green part of the city by linking green and blue structures to the urban tissue and meanwhile activate public realm. Meanwhile these areas should get a stronger identity, and an active waterfront should be created. Connections to adjacent areas by water transport and ferries should be encouraged. Creating attractive connections will be the initial step towards an upgraded network of public realm. Metro access plus installing footpath and cyclist connections will change the balance between slow traffic and fast traffic. 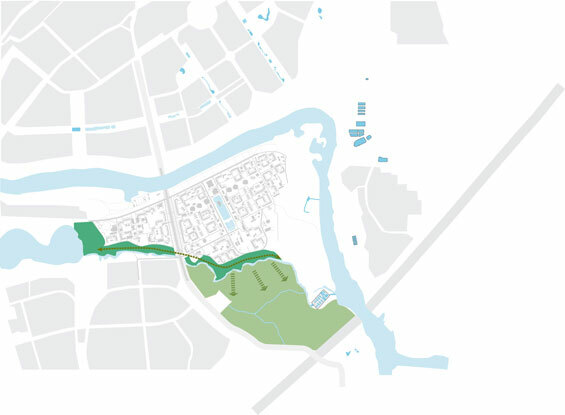 Linking the inner core to the rivers will create a green-blue spine, providing access to the Moscow river and its riverfront and to Gorodnya river and its parkland. A differentiation between the north side and the east side will be interesting, creating a contrast between a continuous promenade along the river plus its parkland and a more natural ecological zone on the eastside, having long boardwalks towards the river. Key to success is changing the central strip. 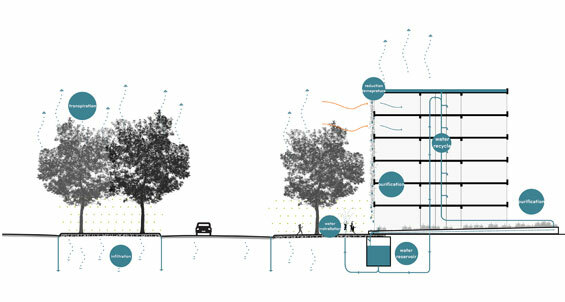 Frictions in the urban tissue, such as poor quality of some building blocks in this strip can be turned into new qualities by re-development of this strip. Related to this development the new metro connection can be a catalyst for urban transformation. By creating a new development south of the basins, interesting combinations of urban and green can be realized, creating an ensemble of intermediate size blocks. On the medium scale Brateevo’s public realm will improve by changing the parking facilities that have been built and that closed down access to the eastern riverside. 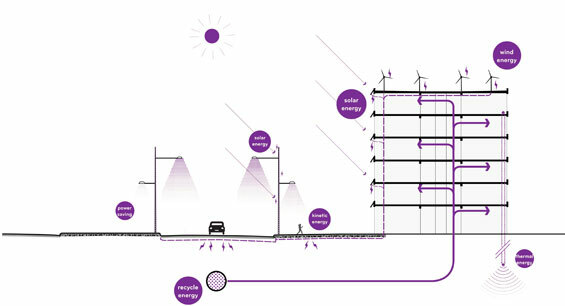 Creating a low-rise car park, having a public roof and sports facilities on top will fulfil the need of areas for sports combined with the need of parking cars. 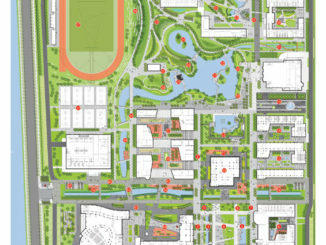 On the large scale the green areas offer a potential for new recreational use and ecological structures. Revitalizing the edges will emphasize the green areas. Planting of the wide streets, providing an urban green structure, will contribute to better access to the recreational green areas. 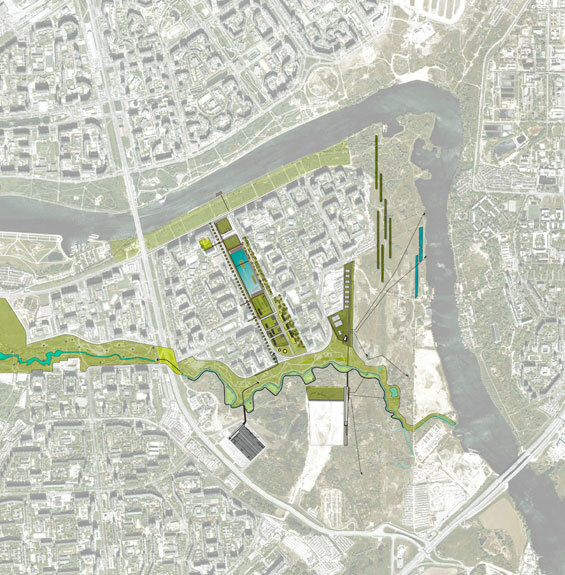 Improving linkages to adjacent green and water structures offers an opportunity to upgrade the Moscow Riverfront and Gorodnya parkland, since they will become part of a larger system, and will become essential components of an ecological corridor. The area south of Gorodnya river is already an interesting birdsreserve, only disturbed by the metro-terminal. 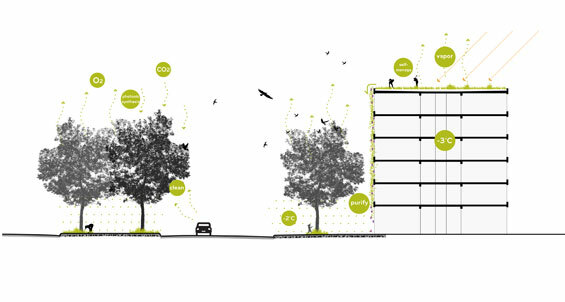 Another roof-park plus birdwatch will create an essential green linkage in this natural parkland. There will be a clear entrance to these natural areas and guidance to visitors within nature.